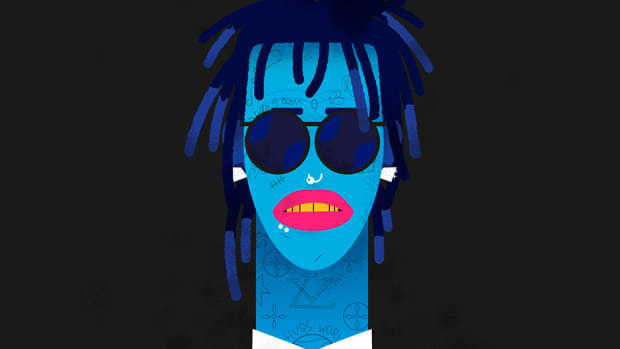 For years, rappers have been pouring lean into both their rhymes and double cups. A few have been able to kick the nasty habit—while others prefer to merely fake the funk—but the abuse of promethazine has had an undeniably profound effect on the hip-hop community. And not the good kind, either. Pimp C, A$AP Yams and DJ Screw died of accidental drug overdoses where codeine syrup was found to be, in part, the cause of death, Lil Wayne&apos;s lean addiction nearly killed Curren$y and inspired Chief Keef&apos;s habit, not to mention being the cause of his own health issues, and it wasn&apos;t until Gucci Mane dropped lean like a bad habit that he was able to resurrect his life and his career. 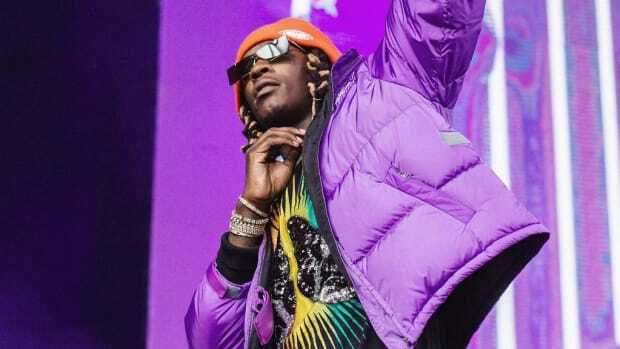 Still, despite the growing awareness of the side effects and health concerns related to the abuse of promethazine, many popular rappers continue to not only consume lean but also love to showcase the practice on their social media. 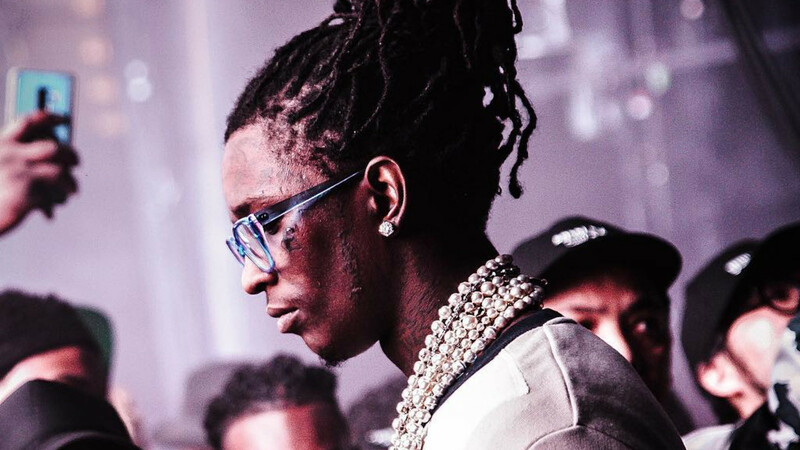 The caption attached to this haunting image of Thugger—eyes glassy, sickly looking and staring off into the distance—reads, "My eyes turn YELLOW when I drank TUSS...."
There is no emoji present to convey Thug&apos;s feelings on the side effect—Is he scared? Concerned? Proud? Does he find it amusing?—but the fact that he chose to not only post the image but also point out that Tussionex abuse is what he believes is causing his eyes to turn yellow is concerning. "The yellowing of the eyes is what we call jaundice and should be a worrisome sign that one&apos;s liver is not in good shape," explained Harlem-based emergency room physician Dr. Esther Ihezie when I spoke with her via e-mail. 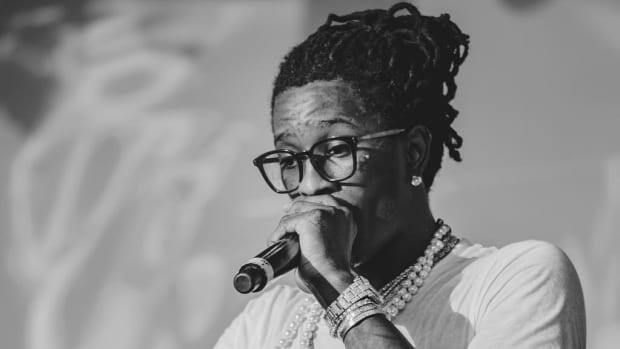 "[Young Thug] probably consumed large doses of the cough syrup—the syrups contain [either] promethazine, codeine or acetaminophen—which when consumed in large doses can cause liver damage." A growing misconception among those who abuse lean is that its effects will only take a toll on the brain and body with extended use. However, according to Dr. Ihezie, who attended SUNY Upstate Medical University in Syracuse and did her residency in Emergency Medicine at the Maimonides Medical Center in Brooklyn, liver injury can occur from just one episode. "These medications contain small dosages of each ingredient so when people try to get the desired euphoria, they end up consuming large, toxic doses that can cause organ damage," said Ihezie. "For Tylenol, it is recommended that you don&apos;t go over three-to-four grams a day or else your liver takes a hit. Essentially, what I am saying is that liver injury from does not take time; it can happen in one episode." 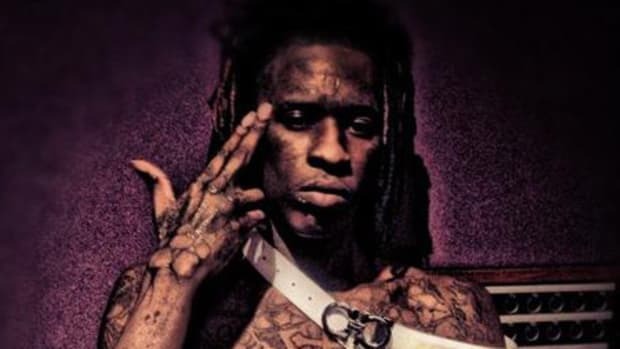 While treatment for an addiction to promethazine, according to Ihezie, is among the nastiest and most difficult, what lean abusers like Young Thug need to be aware of beyond peripheral nerve damage, spasms, hallucinations, vomiting, and diarrhea, is that liver failure can ultimately be fatal. "Your liver is responsible for clearing toxins, producing clotting factors so you don&apos;t bleed to death, produces albumin which prevents you from developing ascites and also helps the kidney do its job," Ihezie added. To make matters worse, liver damage is irreversible. The only way to treat a failing liver that has suffered the effects of short or long-term promethazine abuse is to get a transplant, which, Dr. Ihezie says, isn&apos;t exactly a walk in the park. "I know for a fact that people die every day from their disease [while] waiting on those lists." 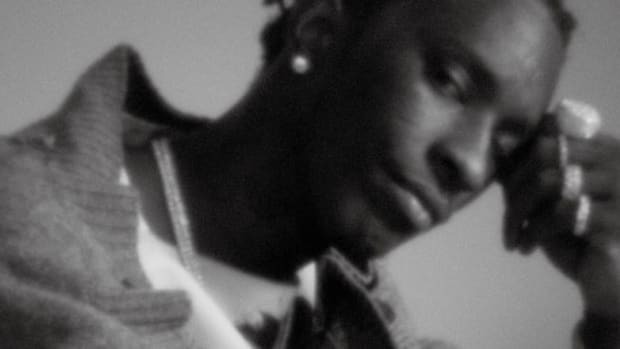 I don&apos;t expect Young Thug to read this article—although if he does see it pop up on his timeline, my fingers are crossed that he gives it a click—but my hope is that someone who likes Young Thug, follows him on social media or listens to his music is able to realize that drug abuse is not as cool as Young Thug and rappers like him make it out to be. It&apos;s deadly. Don&apos;t take my word for it, though. 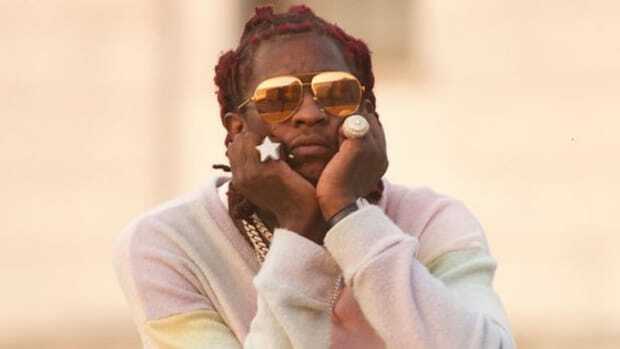 Just ask Dr. Ihezie: "My advice to Young Thug is to go see your doctor immediately. The high you seek [from those substances] is definitely not worth it." Editor&apos;s Note: A previous version of this article indicated that all cough syrups contain "promethazine/codeine/acetaminophen." To be clear, not all cough syrups contain all three ingredients, but rather one or more of these ingredients. 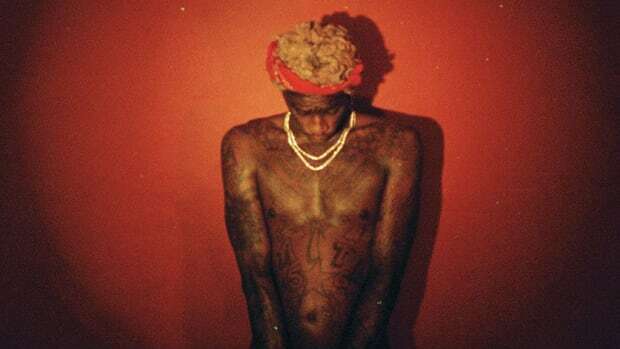 Young Thug: "F**ck a Double Cup, I Wanna Feel It Faster"
Young Thug is either in need of serious help or his troll game just hit another level. It might feel commonplace in rap today, but we’re still in the infancy stages of this “vocal manipulation” language game. 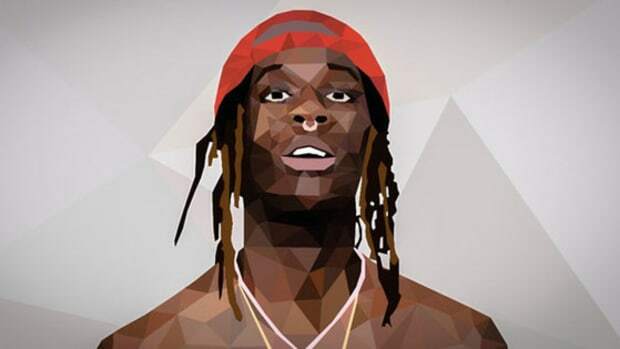 Did Jeffery Lamar Williams come to realize that the shortest path to sustained success is being true to oneself?